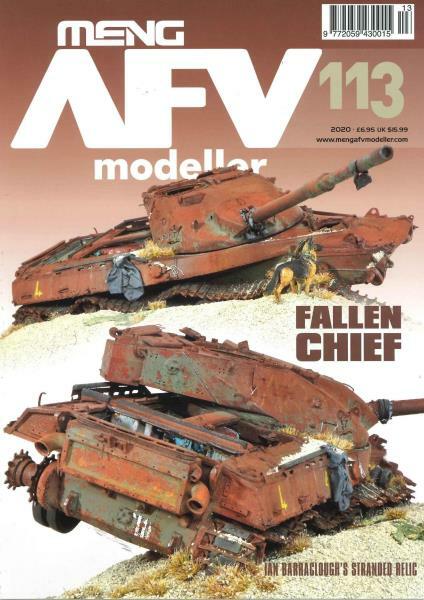 If you love making models and you are a historical buff, then AFV Modeller Magazine is for you. Buy a single copy or subscription to AFV Modeller magazine. The leading visual magazine on armoured vehicle models, the Magazine displays in stunning photography the best work of modeler aficionados for armoured vehicles. The magazine is international in scope and provides lots of tips and advice for modelers at any level of expertise. It stands for an armoured fighting vehicle which is a military vehicle that has both weapons and protective armour casing. These combat vehicles can carry different types of guns and be classified differently based on their roles. An AFV can also be a hybrid military vehicle with mobile gun systems also found in tank destroyers. In the pages of AFV Modeller Magazine, different scale model hobbyists discuss the scale models they have built and there is also a variety of how to information including specific historical data for making the AFV’s as accurate and realistic as possible. Recent articles have information on creating a scene showing a captured Tiger AFV, and how to use two or more Dragon kits to create a more realistic zimmerited Sturmhaubitze 42.